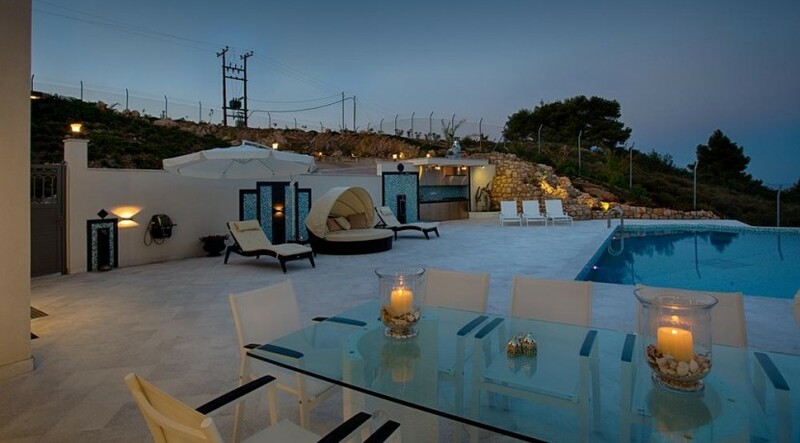 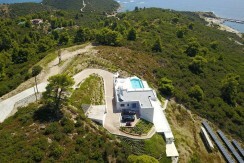 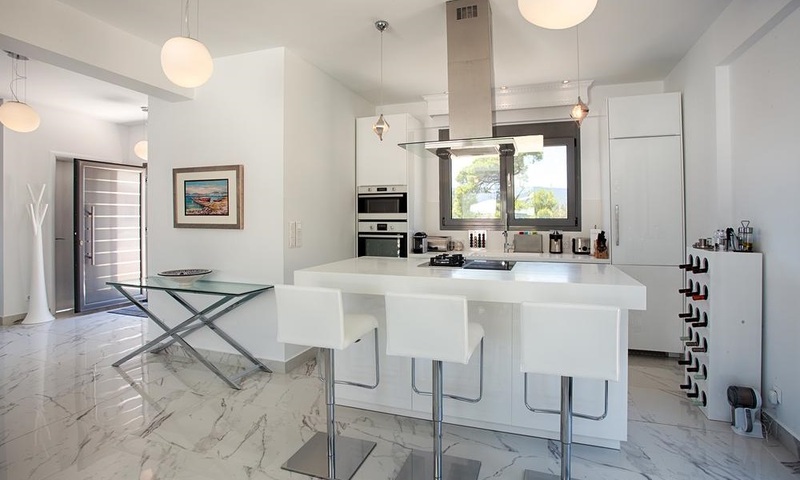 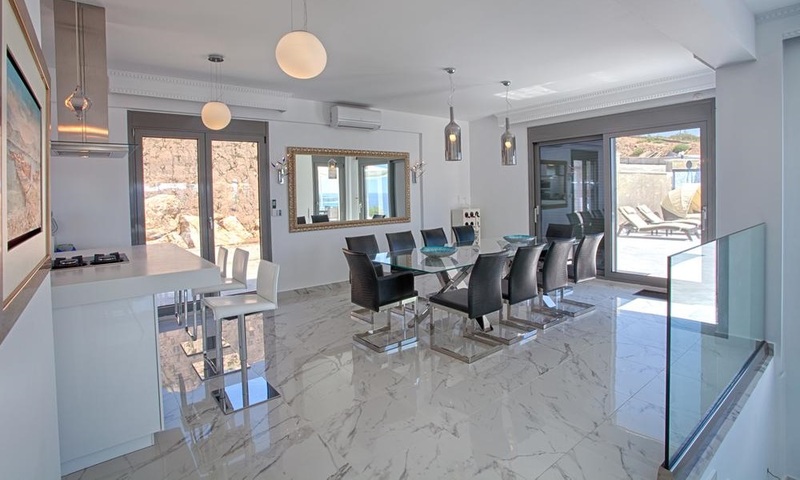 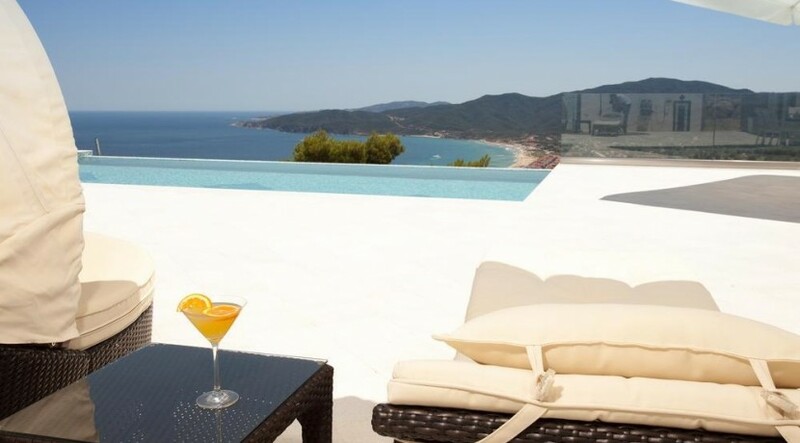 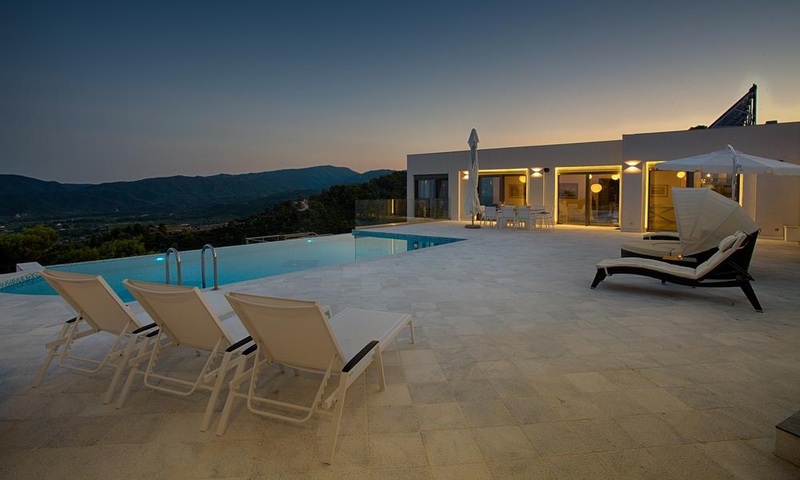 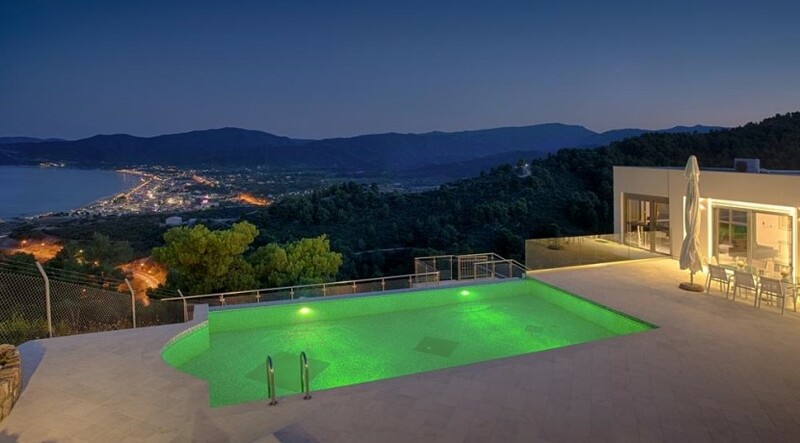 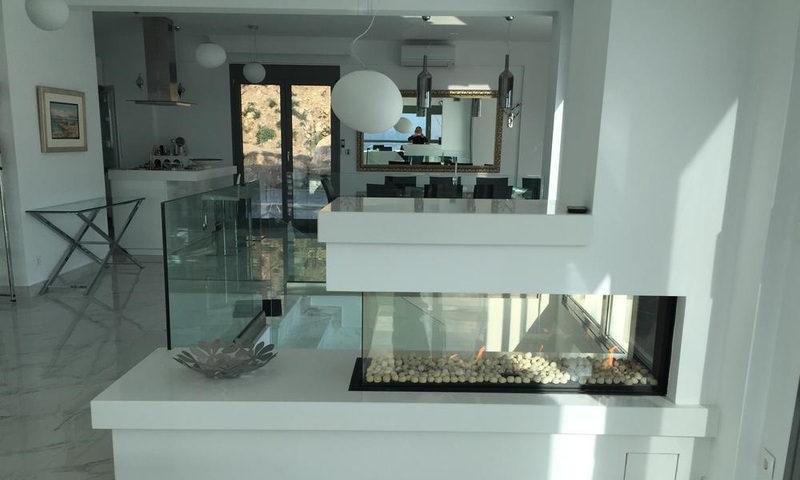 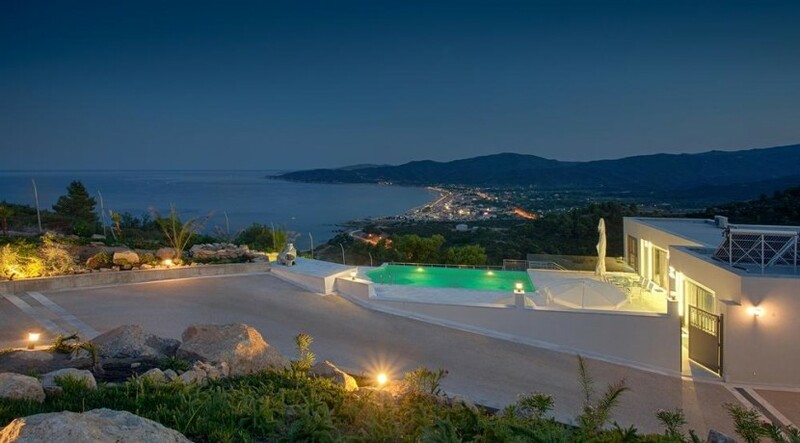 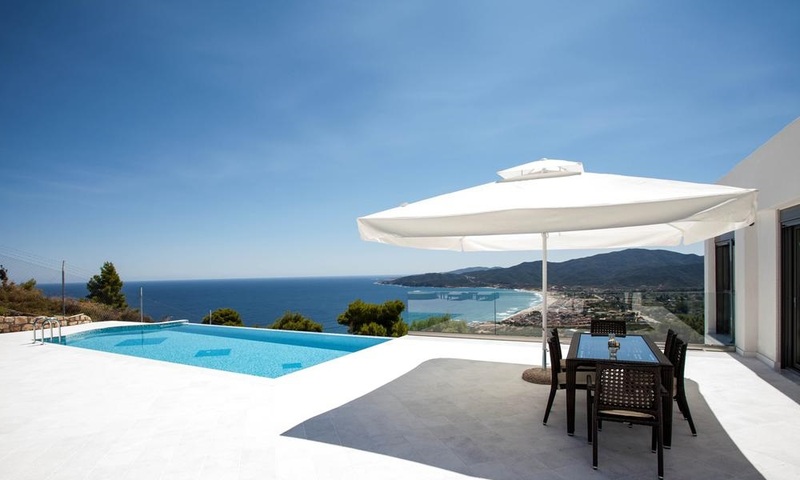 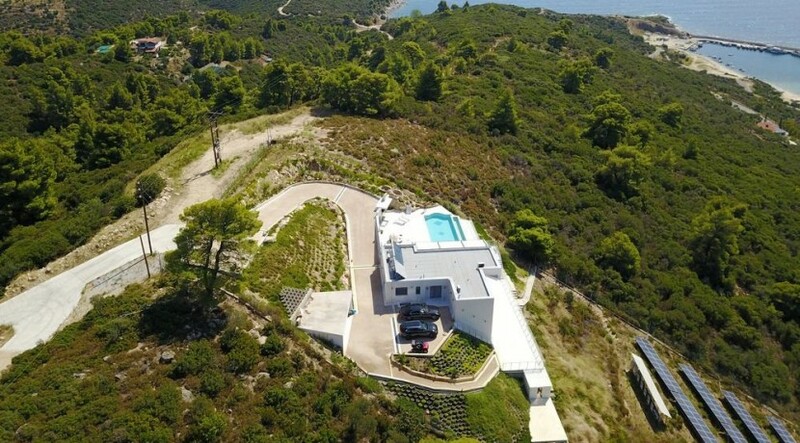 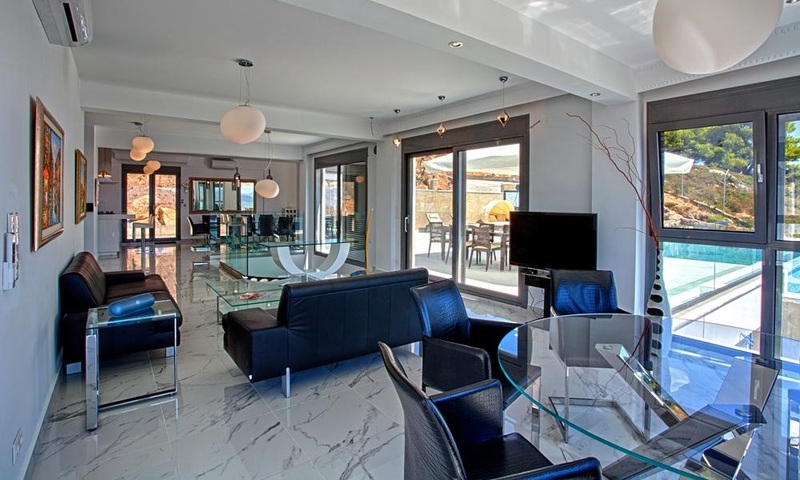 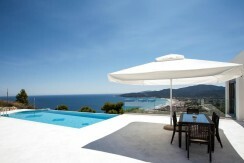 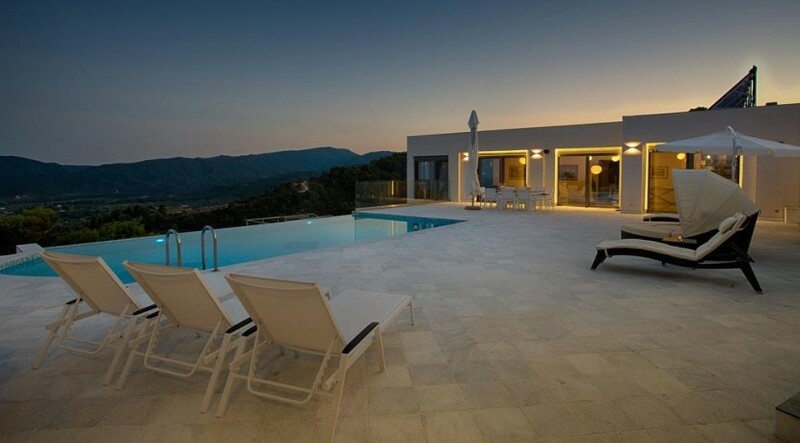 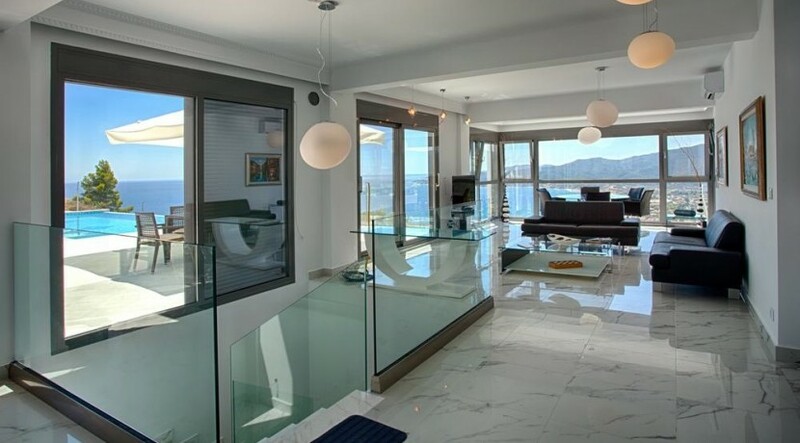 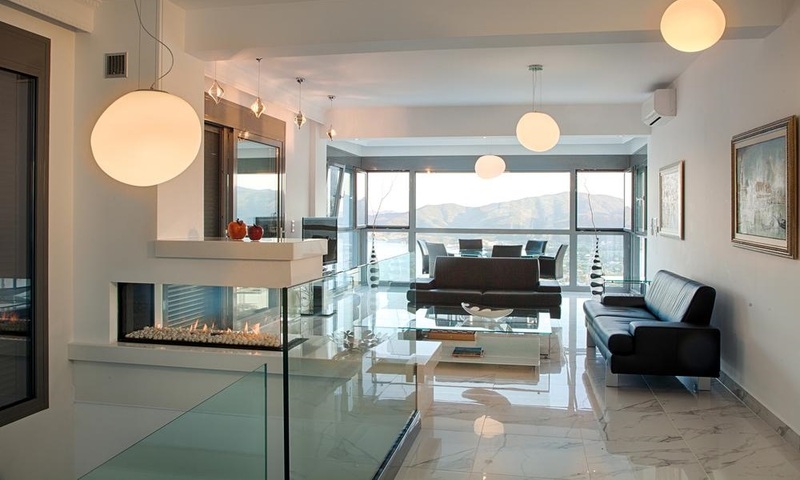 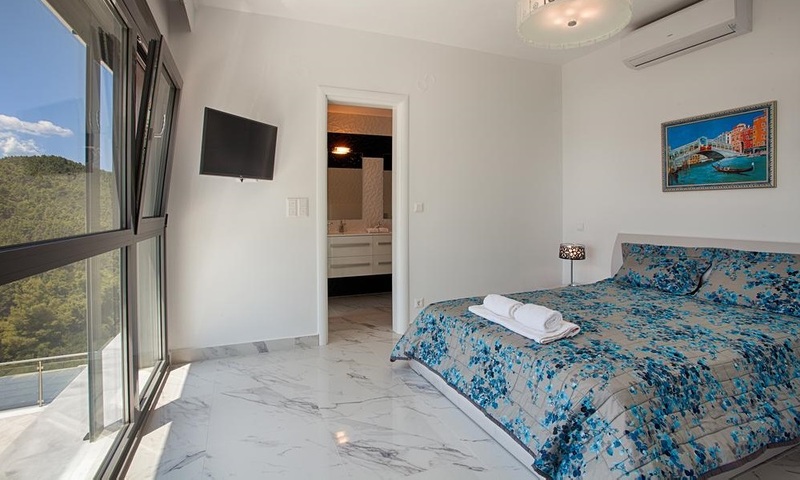 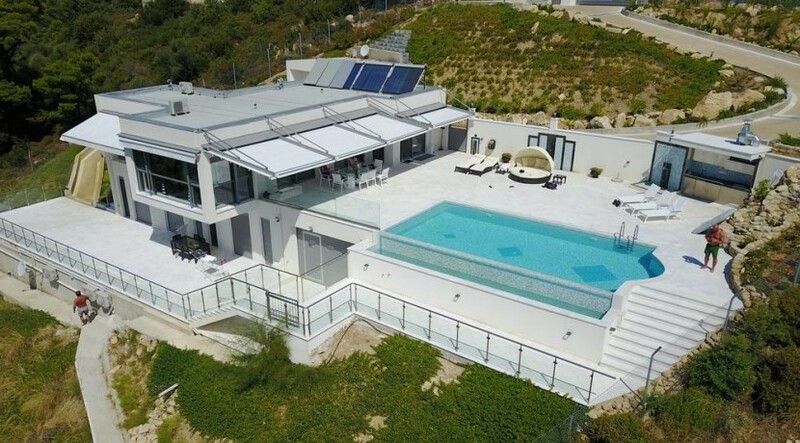 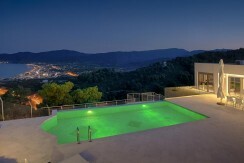 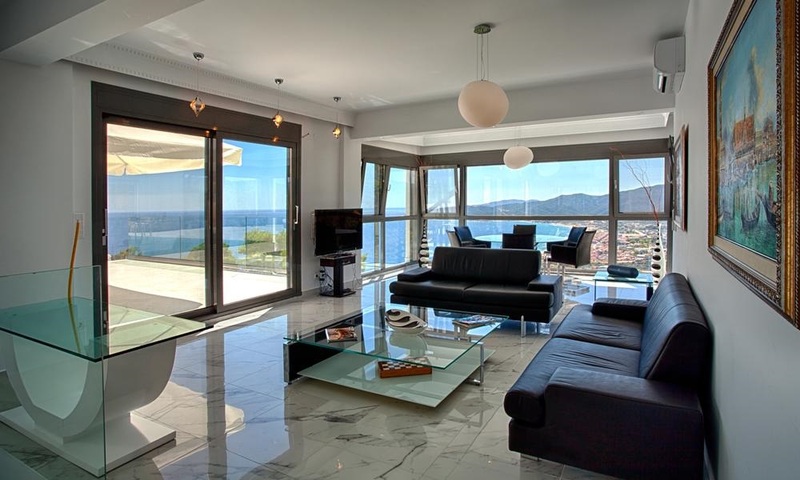 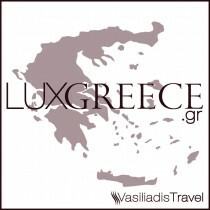 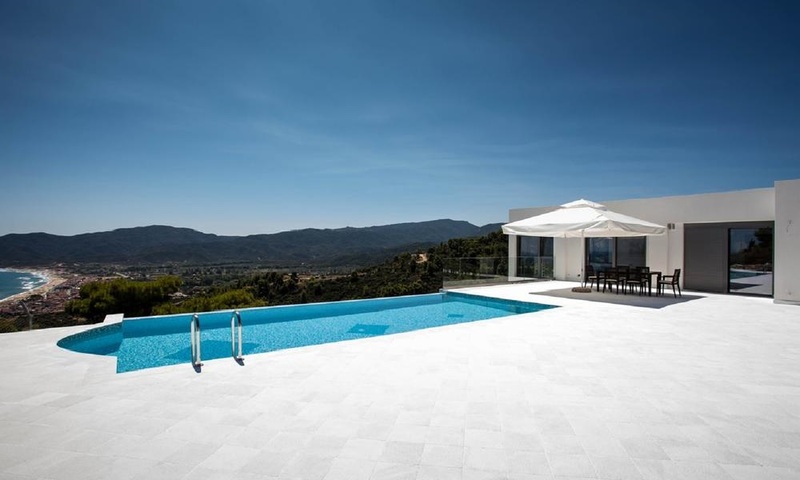 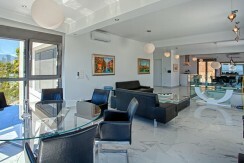 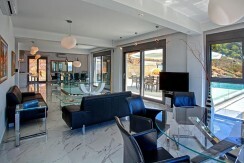 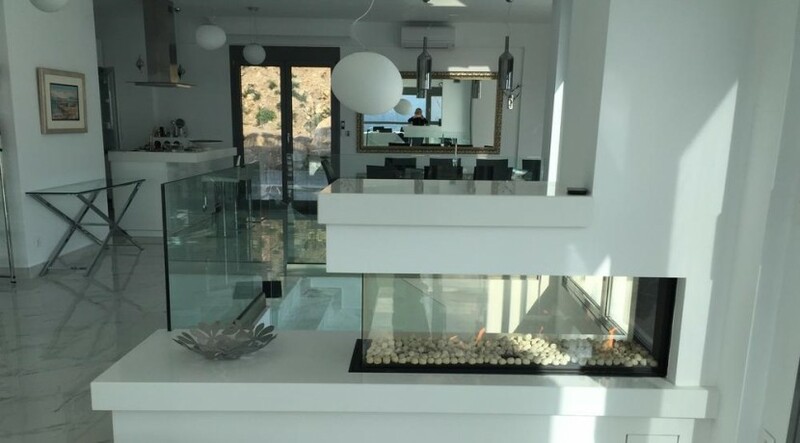 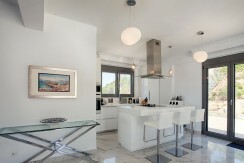 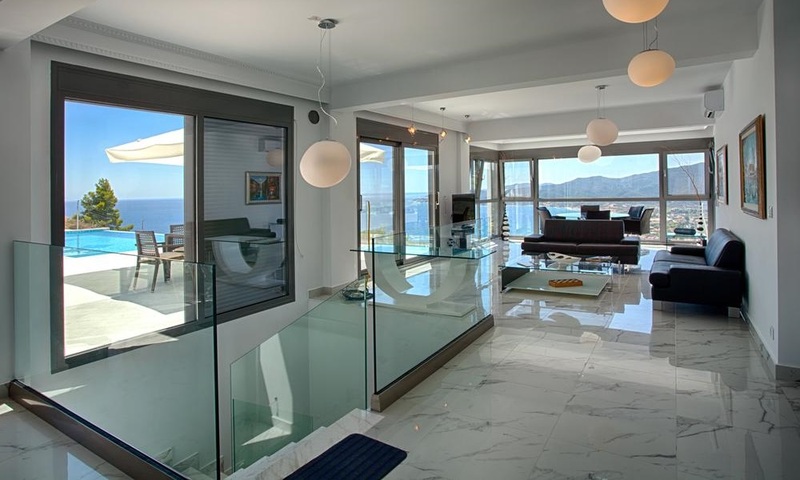 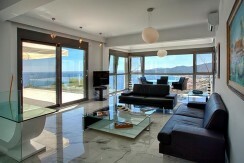 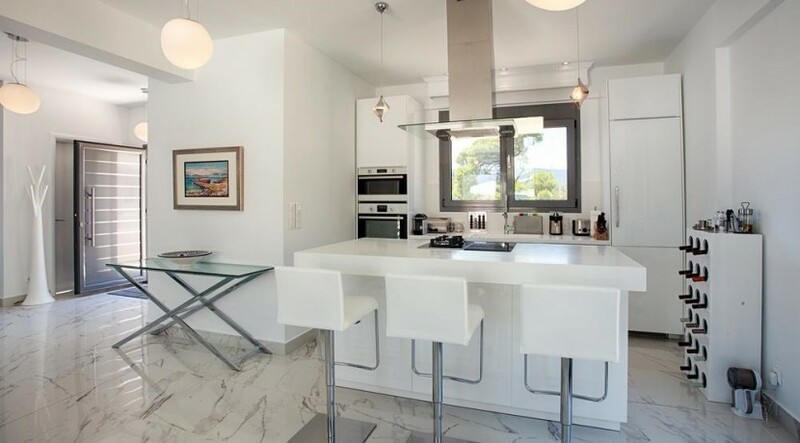 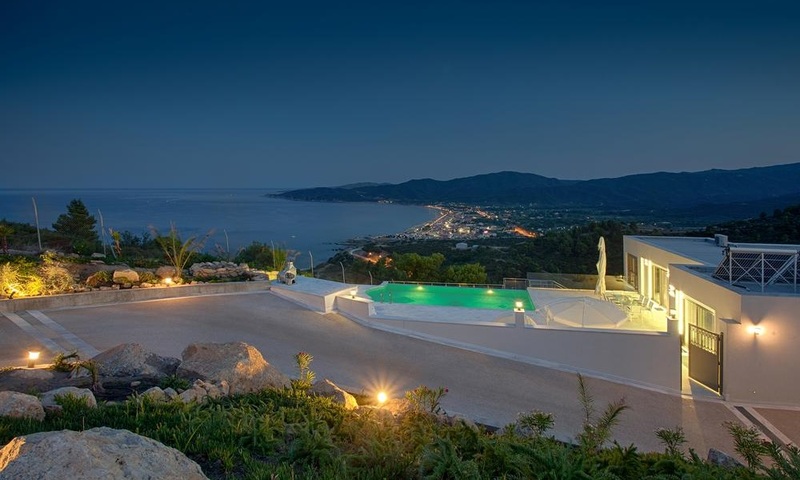 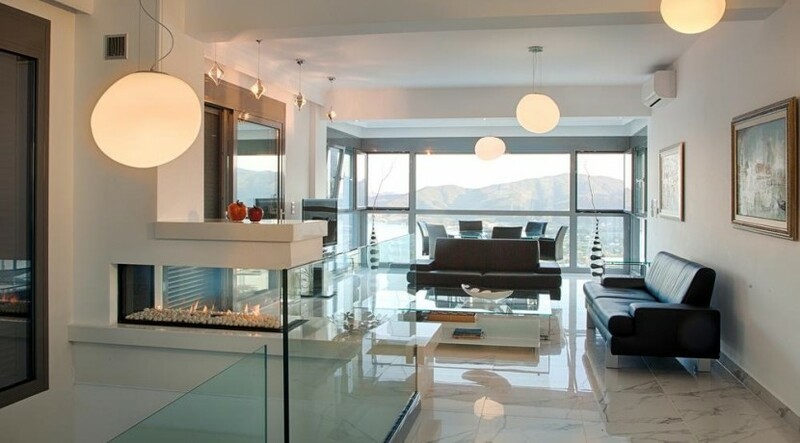 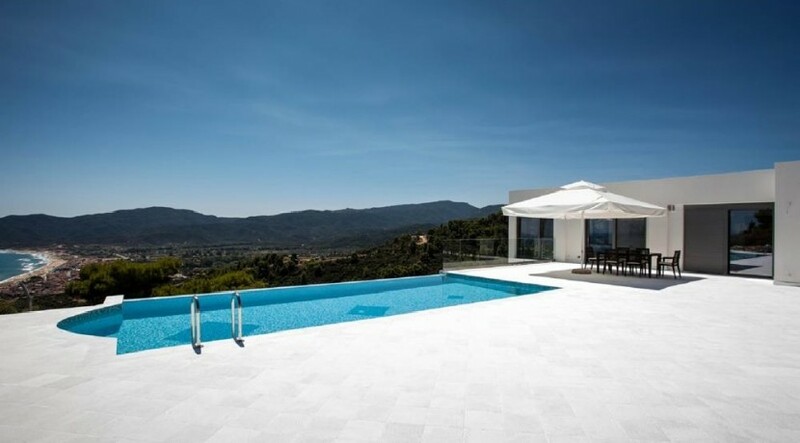 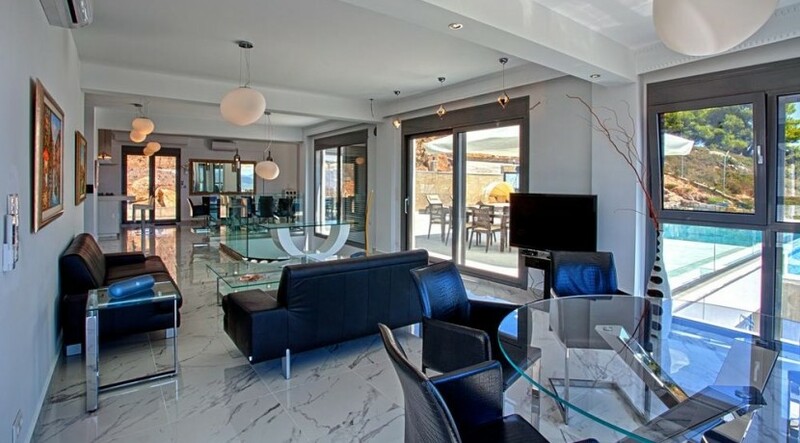 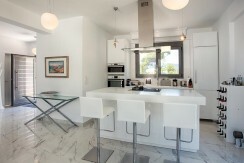 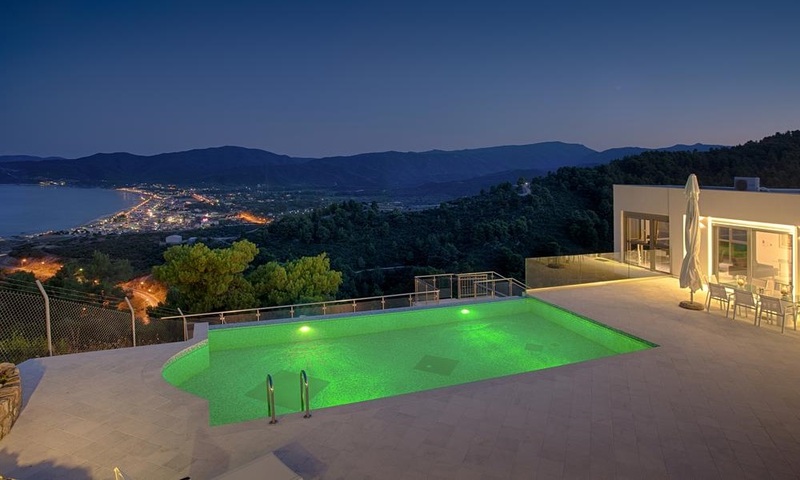 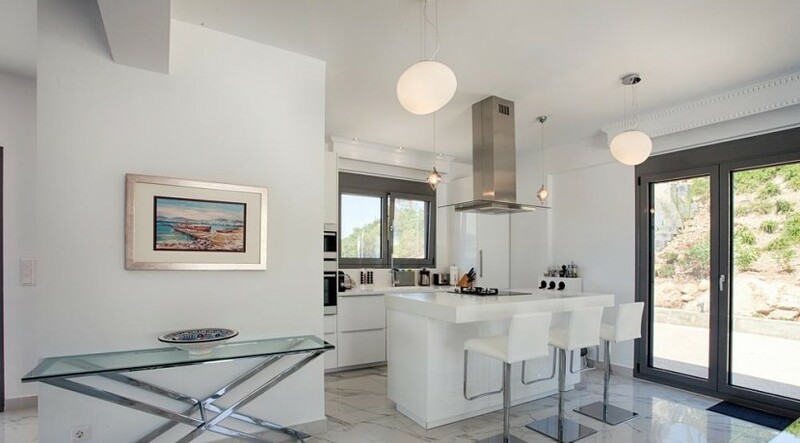 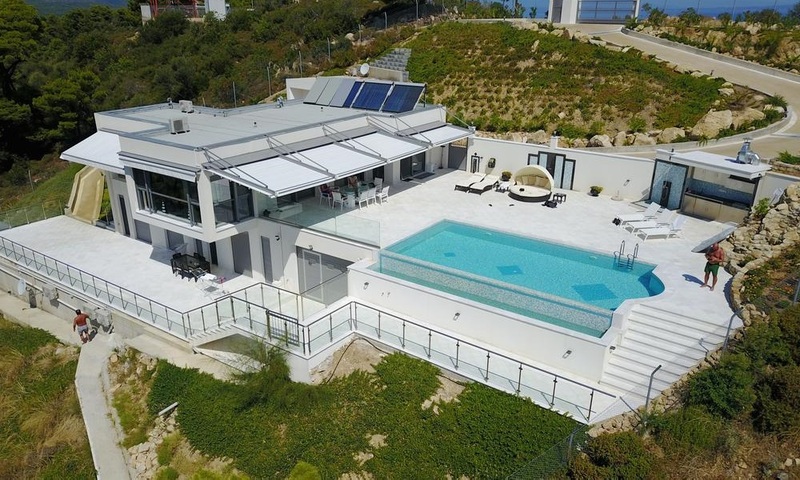 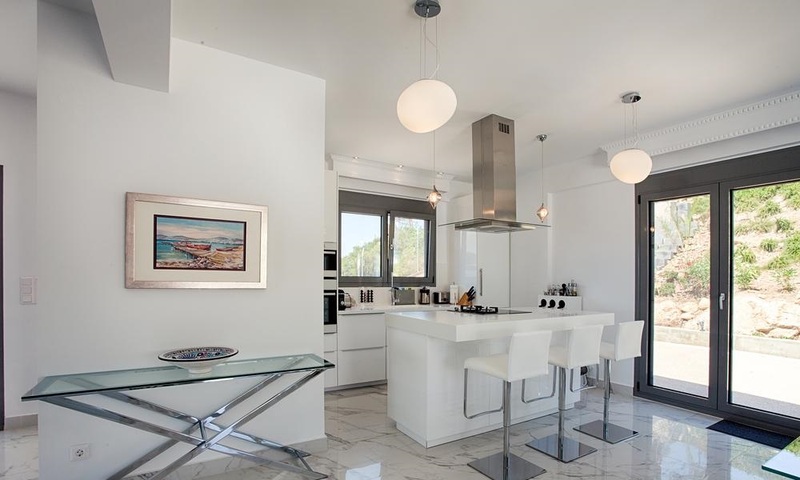 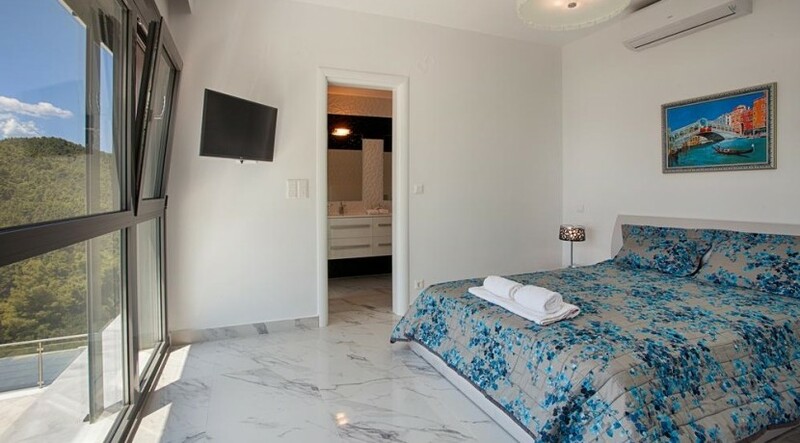 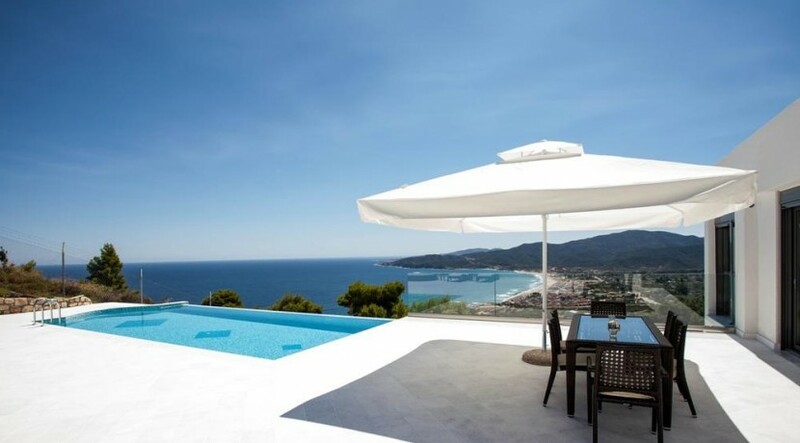 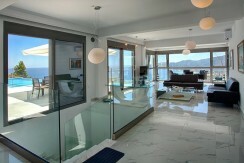 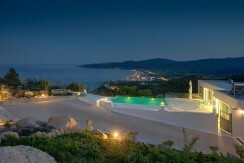 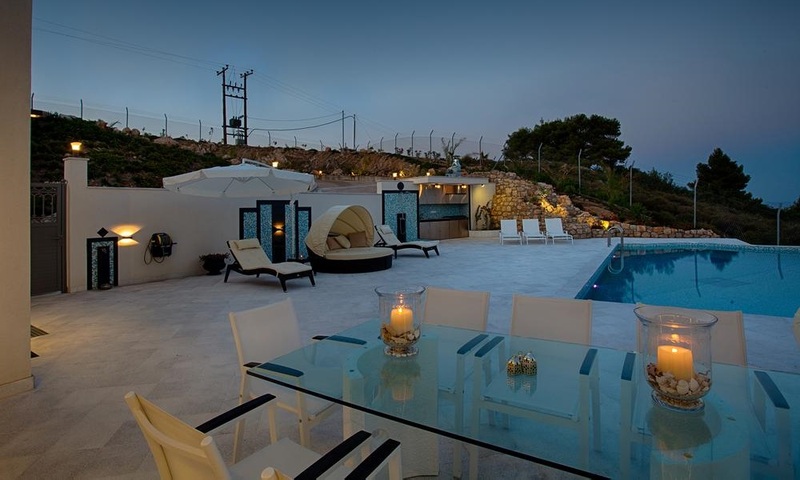 Name of property: Chalkidiki, Sarti, Luxury Villa Athos View 280 m2 for 10 persons. 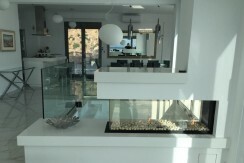 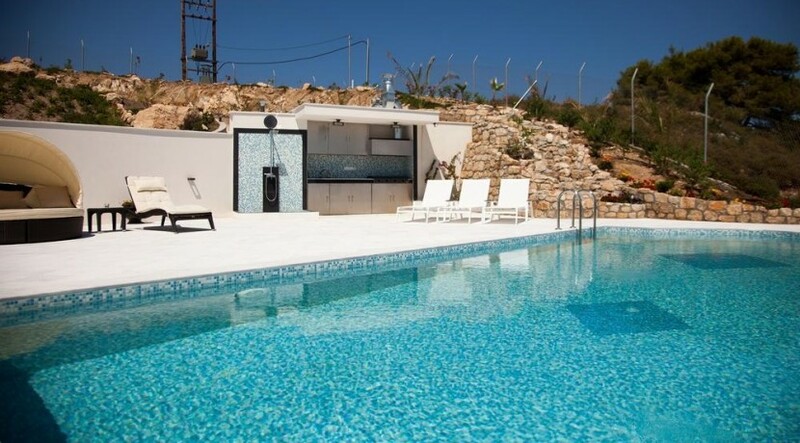 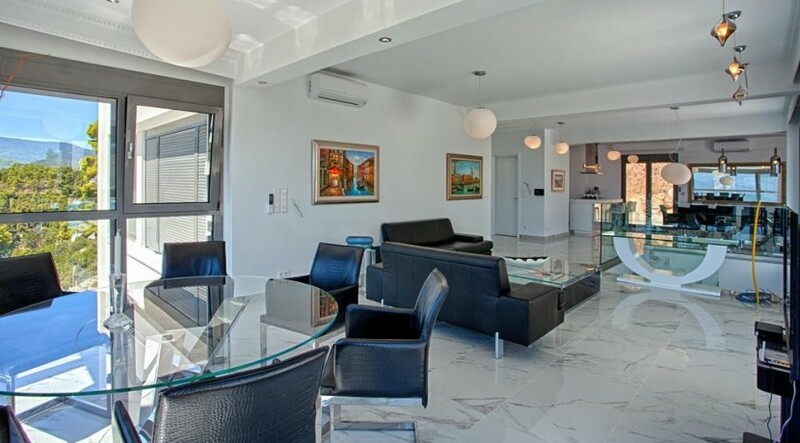 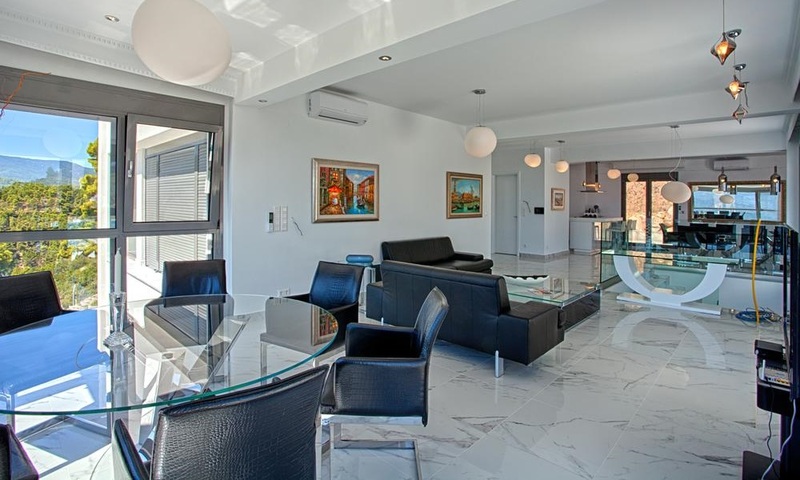 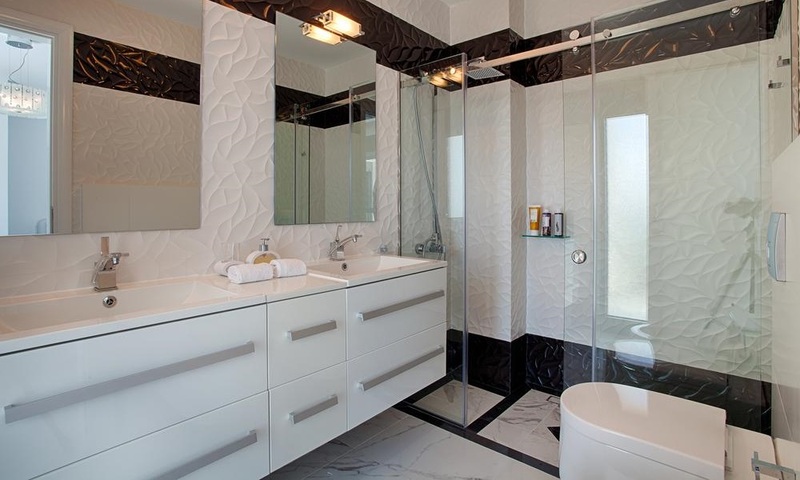 Description of property: 5 Bedrooms, 3 Bathrooms, 1 WC, Living Room, Fully equipped kitchen. 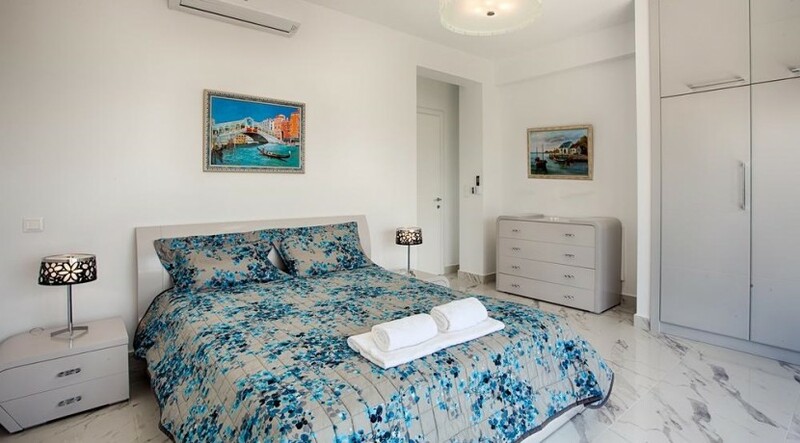 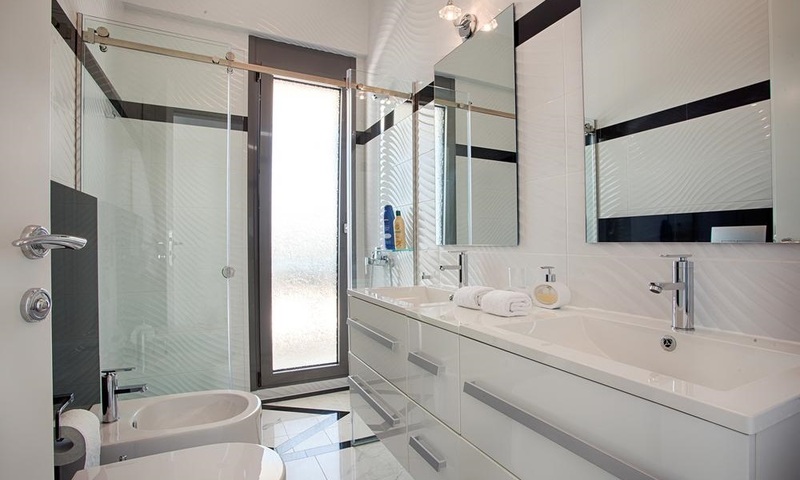 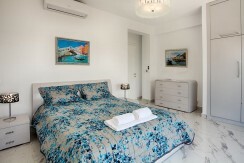 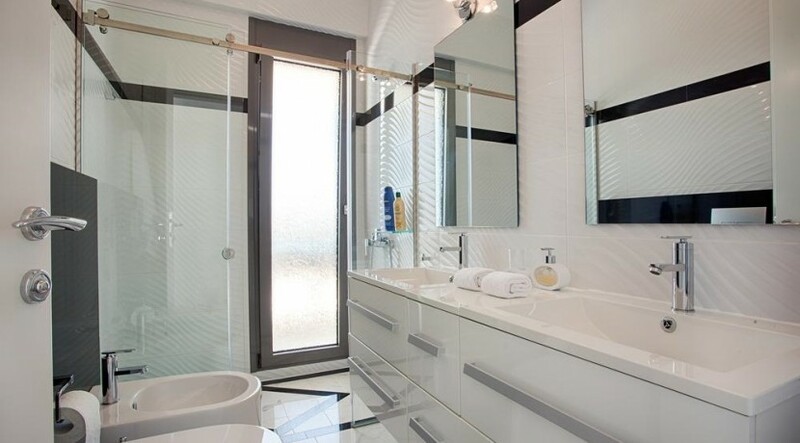 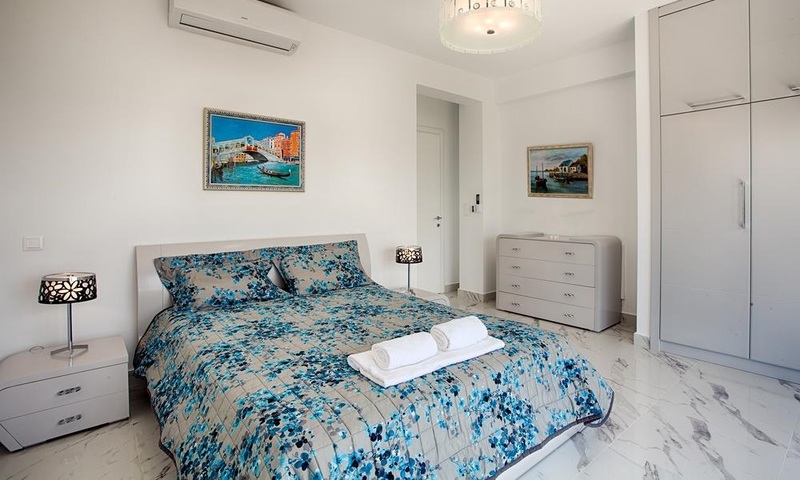 Description of bedrooms:2 Bedrooms with double bed and bathroom. 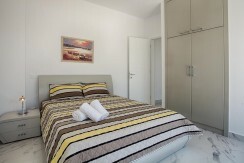 2 Bedrooms with double bed. 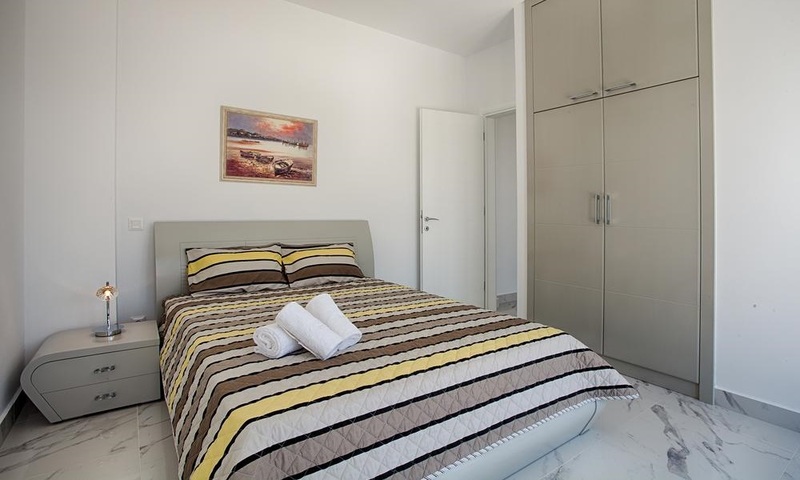 1 Bedroom with double bed & 1 Bunk bed. 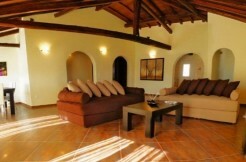 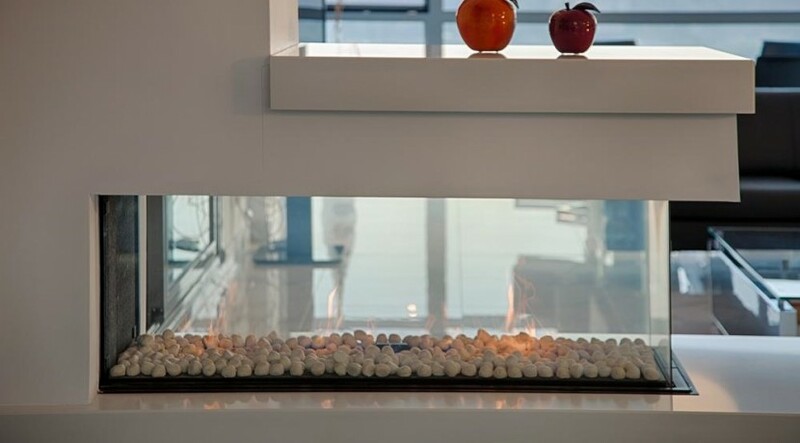 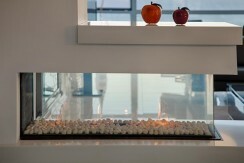 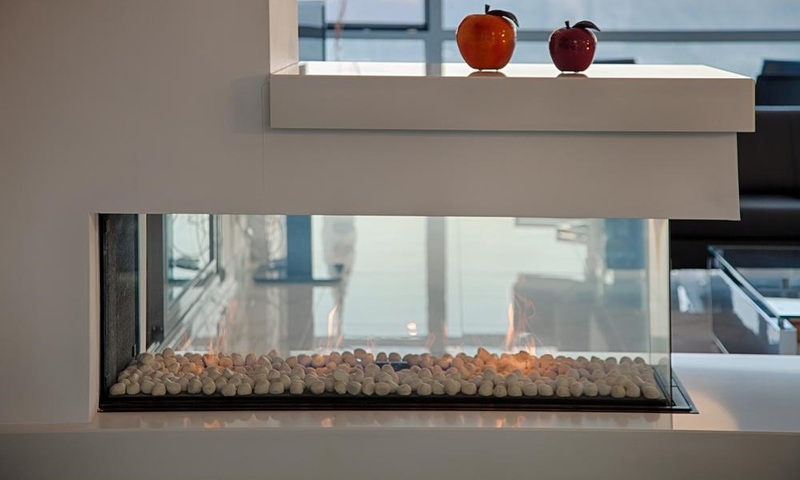 Description of equipment: Air Conditioning, Wi-Fi, TV, Fireplace, Washing machine, Iron & iron board. 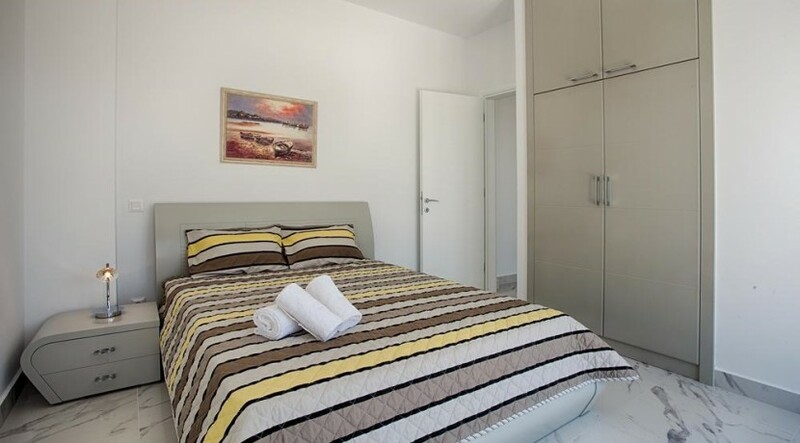 Description of services: Room cleaning every 2 days. 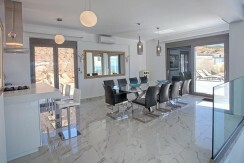 Meals breakfast. 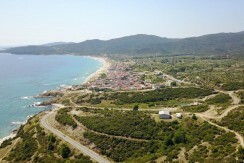 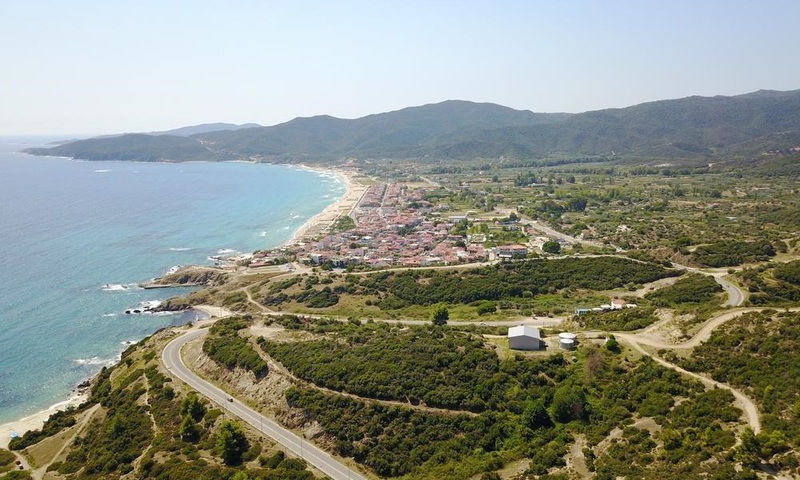 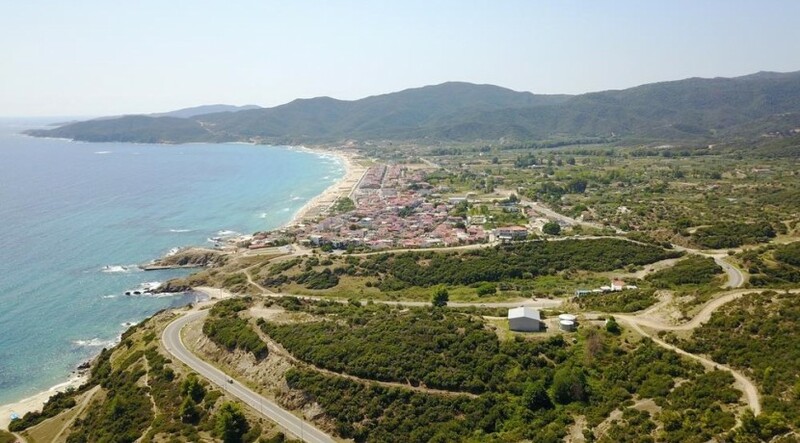 Distances: From the beach 2,20 Km, From Sarti 3,40 Km, From Thessaloniki airport 130 km. 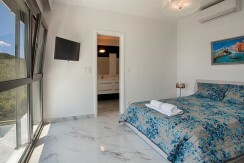 Rates per night: minimum stay 6 nights. 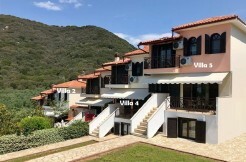 Usually villa offer discount for accommodation please contact us for confirm the price. 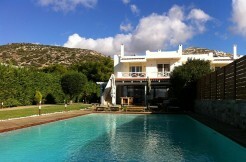 Check in time is 15:00 hrs. 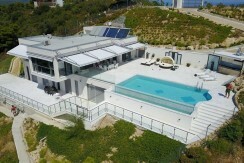 Check out time is 12:00 hrs. 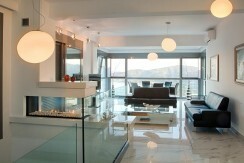 Pets are allowed (upon request).